hopinlock is a free app that allows easy management of locks from a couple up to hundreds at a time. The app works on any Android phone or tablet with NFC (includes most phones 3 years old or newer - List here). 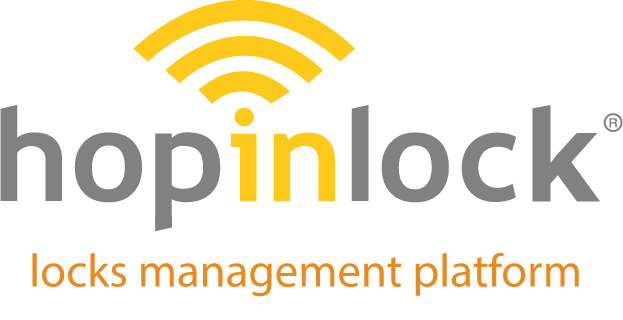 Managers can control a variety settings of multiple locks at once and backup settings either manually or automatically to the cloud via the hopinlock Portal. Many other tasks such as sound, closing mode, warnings, etc. Unlimited users in locker mode (each card presented to lock and closes the lock needs to be the same card that opens it). 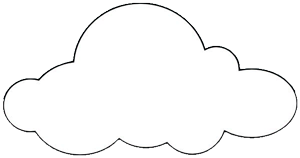 Remotely access Combi-Cam E via the cloud and any NFC Compatible Phone (most phones- see list here). Remote access to any locker across the globe with no WiFi or internet required except for your phone. No keys, cards or anything else needed to open the lock other than a cell phone and access code over the cloud. Access can be granted from one hour up to one week per use. Phase II- Ability to remotely pay for use of a lock on phone app. 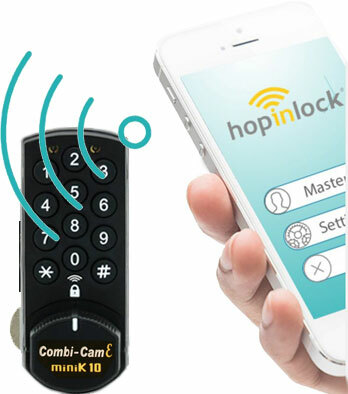 Control access to locks remotely via the hopinlock cloud platform and any NFC compatible phone. Distance is no issue, should it be next door or the next state over. List of NFC compatible phones here. 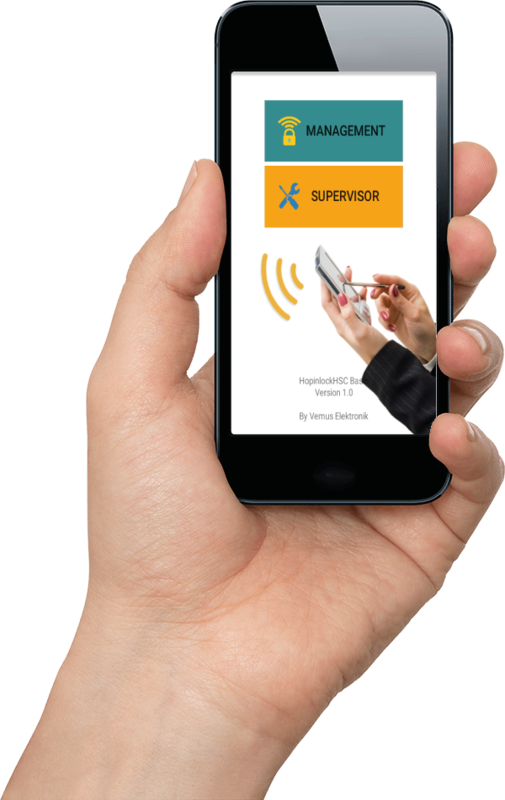 Management control on any phone, tablet or PC platform. Set up Admins, Users and Locks. Run reports, based on a selected time frame, who accessed what locks and for what length of time. Rent out and assign lockers for one hour up to one week. Notification of which lockers are empty and which ones are expired. 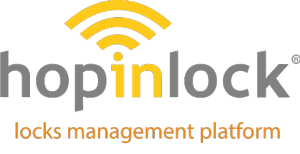 With a fee structure charged to users per use, the hopinlock system can be a revenue source. Use management app to override a lock.